This short arm style system replaces all four lower link arms due to their vulnerability to offroad obstacles during offroad use. The heavy duty Links Arms have factory parallel joint angles to reduce bushing wear. Constructed of 1.75” OD. .250″ thick wall tubing they are guaranteed not to bend. Fabtech’s 5 Ton joints® are included and come with a lifetime warranty against wearing out. 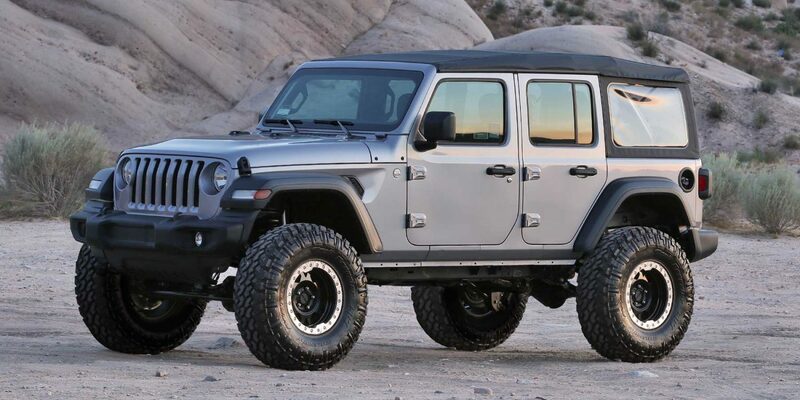 Dual Rate long travel coil springs and front lower shock mounts allow for maximum offroad articulation and travel. A Draglink Flip system provides steering geometry correction with the new ride height. Front and rear bolt on 1/4″ thick steel Track Bar brackets are of the strongest design and properly maintain the roll center of the vehicle with the increased ride height.